Manufacturer of a wide range of products which include full height turnstile, full height turnstile with fingerprint base access control system, full height turnstile with face recognition base access control system, full height turnstile with card base access control system, single lane full height turnstile and dual lane full height turnstile. Rotor : 4 X 90 degree bi-directional control. 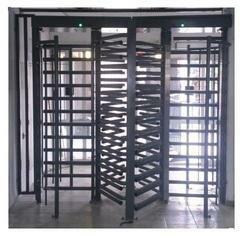 Looking for Full Height Turnstile ?